“Chaps: A Jingle Jangle Christmas” is almost here! The Orlando Shakespeare Theater in Partnership with UCF is presenting Chaps! 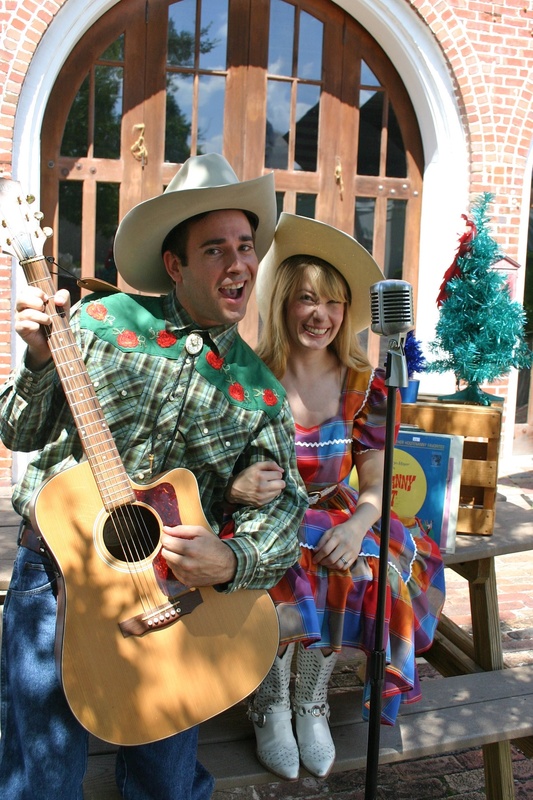 A Jingle Jangle Christmas, a rousing, rowdy, family-friendly musical comedy that is just in time for the holiday season! Set in 1944, years into World War II and the heyday of singing cowboys on radio and the silver screen. America’s favorite singing cowboy Tex Riley and his troupe are late for a special Christmas Eve broadcast at the BBC in London. Out of desperation, the station grabs anyone – a snobby announcer, an amiable sound man, a passing soap opera actor – slap them into costume, hand them scripts and shove them in front of the studio audience. The resulting performance is one that England will never forget! Chaps! A Jingle Jangle Christmas begins previews on Wednesday, December 1, opens officially Friday, December 3 and runs through Sunday, December 26 in the Margeson Theater.